Just turn the key and start enjoying life on the lake! 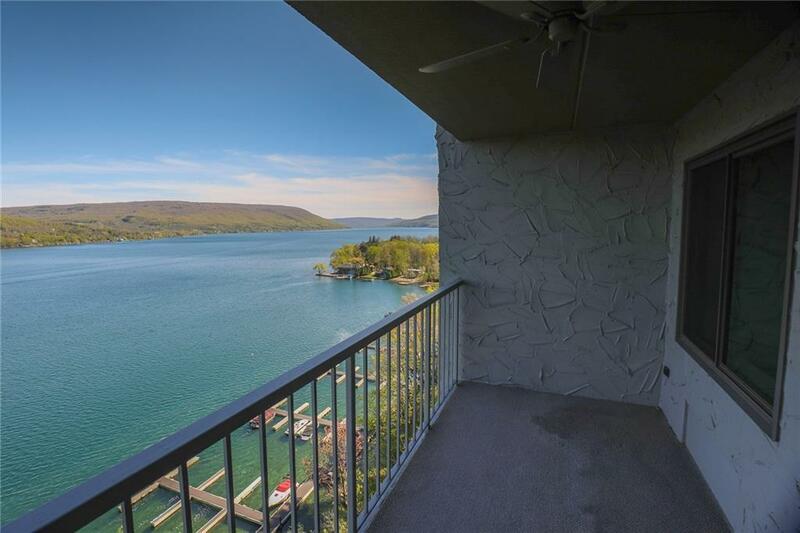 Pristine updated studio with awesome lake views, very open and airy with neutral dÃ©cor. Amazing kitchen with granite countertops! New windows and doors! Furnishings included! HOA fee includes access to 250' of private sandy beach with chaise lounges, tennis and pickleball courts, community center with fitness room, play ground, firepit and picnic tables. Directions To Property: Starting In Canandaigua Route 21 South Through Cheshire. Left On Seneca Point Rd. Left Onto Cliffside Drive.